The Bible says the purpose of tithing is to teach you always to put God first in your lives. (Deuteronomy 14:23) Tithing is a reminder that God is the supplier of everything we have. It is also God's personal invitation to an outpouring of his blessing in your life. 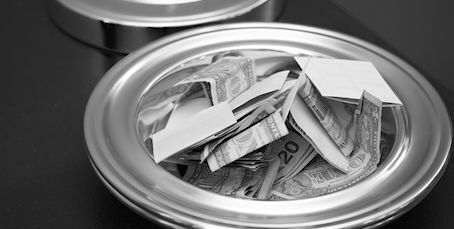 What does it mean to tithe? The word "tithe" is derived from the Hebrew word ma'aser and it literally means a tenth. Ten percent of everything belongs to the Lord. In Malachi 3:10(NLT), God says this: "Bring the whole tithe into the storehouse, that there may be food in my house. Test me in this, "says the Lord Almighty, "and see if I will not throw open the floodgates of heaven and pour out so much blessing that there will not be room enough to store it." This is the only place in Scripture where God tells us to put him to the test. In other words, he's saying, "Go ahead. I dare you. See if you can out-give me." Is God wise? Do you trust him? These are two fundamental questions behind the act of giving. If God is wise, then you should listen to what he says about financial stewardship. If you trust him, then you should trust him with aspects of your life, including your finances. So go ahead! Accept God's invitation to put him to the test. Start tithing faithfully and watch what he does in and through your life. Simplicity: You won't have to remember whether you gave this month or send in an offering by mail when you're on a trip. Security: We utilize PayPal, for online giving, which is more secure than giving with a check or cash because an electronic gift can't be lost or stolen. Focus: Instead of having to worry about writing a check and filling out an envelope during the service, you can be fully focused on the worship service, knowing that you have already given your offering. Helping Faith Church: Online giving is more cost effective for our church to process, and it makes our record keeping much easier. Financial giving at Faith-UMC can generally be divided into two categories: tithes and offerings. The Bible teaches us that we worship the Lord with our tithe, which is ten percent of our income contributed to your home church (the one you attend) on a regular basis. The ministry of Faith-UMC is funded by God's provision through the tithes and offering of faithful members and attenders. At Faith church, we honor God's provision by exercising wise and faithful stewardship, ethical business practices, and full accountability so that the financial integrity of Faith Church remains beyond reproach. Members of Faith Church will receive, at least annually, a copy of your financial giving statements. All tithes, offerings and gifts are tax deductible. At Faith Church we have many ways to give. You can use the postage-paid envelope you receive in worship each week to give during worship, or you can mail it in later, you can give online by using our Secure Online giving to set up a one-time or recurring gift, or you can give by Texting. Contact the Church Office at (920) 722-5842 for details. While we allow the use of credit cards for tithing and offerings, we discourage the irresponsible use of credit cards. We offer donation by credit card as a convenience to those who manage their finances in a God-honoring way.